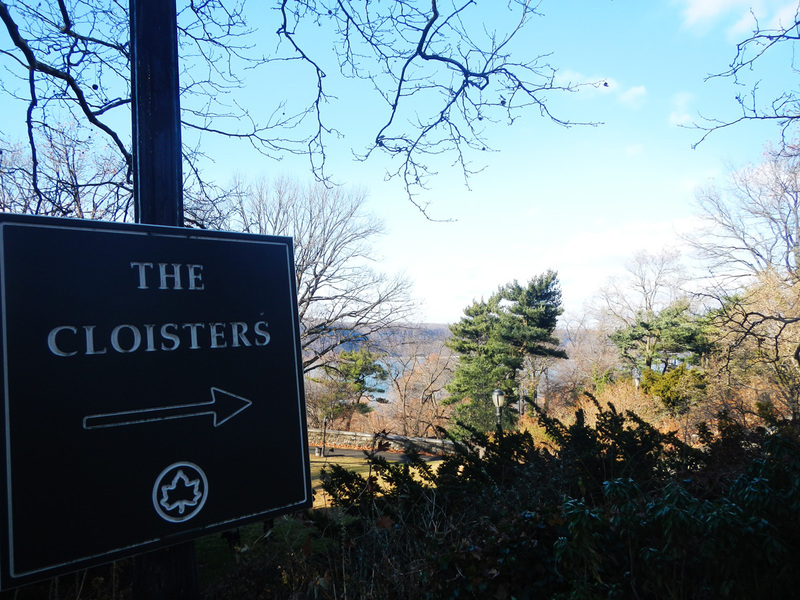 On the very northern-most tip of Manhattan overlooking the Hudson River, The Cloisters have the space and grace of an medieval abbey. In fact, the building is part of the Metropolitan Museum and was only built in the 1930’s. But its construction was a collaboration of 5 cloistered abbeys from Europe, taken apart brick by brick and reassembled with collective richness to house ancient tapestries and sculptures, and more recently, a spectacular art installation of sacred music. Thomas Tallis was one of England’s greatest composers and his piece Spem in alium numquam habui was considered one of the most extraordinary works of the Renaissance. Janet Cardiff, a Canadian installation artist, recorded each voice of the choir members of England’s Salisbury Cathedral singing this masterpiece and brought it, like the abbeys, to Manhattan for reconstruction. She positioned forty speakers around the edge of the intimate Fuentiduena Chapel, and on queue, forty voices came together in chorus. Cardiff wanted to ‘climb inside the music’ and so encouraged people to walk round the space to hear the individual voices or to stand centrally and experience the entire choir together. I stood in the middle of the room, which was packed with people – children, tourists, grandmas, babies – and closed my eyes. The music was transcending, voices came in soprano from one direction and bass from another, rising and falling, singularly then together. In the heart of that beautiful chapel it was like hearing voices past and voices future, inspiring and joyous. When the music stopped there was a silence for a moment. Then everyone seemed to realize where they were, people murmured to each other and there was the gentle sound of shuffling as they made their way out. It was quite a moment. Christmas had come early at the Cloisters. 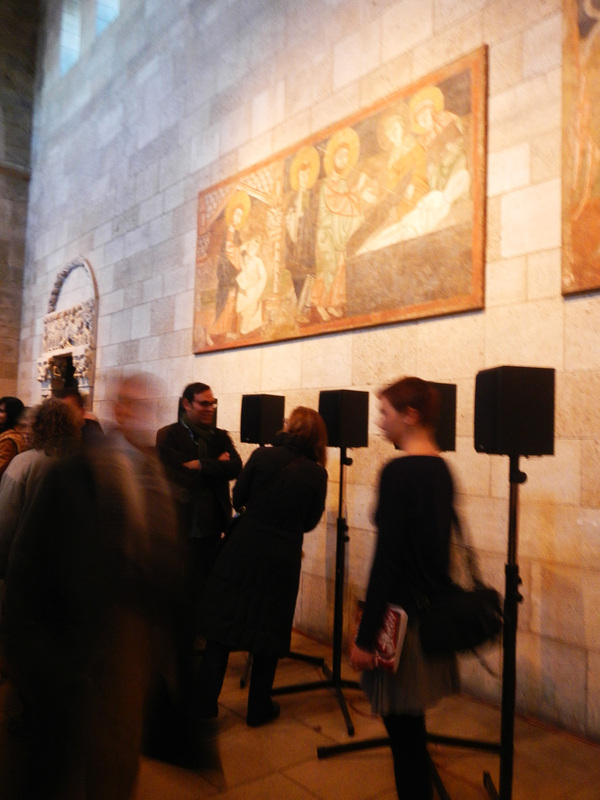 This entry was posted in art & inspiration, events, Uncategorized and tagged Janet Cardiff, The Cloisters. Bookmark the permalink. The Cloisters experience must have been a magical moment. Good on you for seeking it out, like you do with all your adventuring. Thanks for your eloquent description. You transported me to the same spot as you.